Today, Saville Resources Inc. released astonishing assay results of a recent prospecting and sampling program from the Miranna Area of the Niobium Claim Group Property in Québec, Canada. Extremely high-grade niobium was sampled in numerous well-mineralized boulders, which also contain high grades of tantalum (Ta2O5) and phosphorus (P2O5). Phosphates are common in some of the world‘s largest and highest-grade niobium mines, such as Araxa and Catalao in Brazil. The Niobec Mine in Québec is a pyrochlore mine with no tantalum of any significance, as being the case with Araxa and Catalao (see here). These 3 mines alone are responsible for global niobium supply. The recent field work further supports the presence of a large and strongly mineralized boulder field with a source interpreted to be towards the south-southeast of Saville‘s property. The last ice age is thought to have dispersed the many boulders from its original source. With a current market capitalization of $2.3 million CAD, Saville is looking to make a major discovery with an upcoming drill program as it has traced back the boulder train to a postulated source, which is coincident with a magnetic high anomaly. Saville has signed an agreement to acquire up to 75% of the Niobium Claim Group Property and that agreement is now going through the TSXV approval process, whereafter a drill program is anticipated. See Saville’s news release and their grade disclosure here or on the following pages. As outlined in the last Rockstone Report “Eager to Start the Treasure Hunt for Niobium in Quebec“, Saville‘s property has the right host rock and mineralogy for conventional metallurgical processing, that being carbonatite rock and pyrochlore mineralogy hosting the niobium. Pyrochlore is the dominant mineral source of niobium globally. Further, much of the pyrochlore is visible to the naked eye, thus indicating a relatively course grain size which is advantageous to metallurgical recovery. "Vancouver, B.C. - Saville Resources Inc. (TSXv: SRE, FSE: S0J) (the “Company” or “Saville”) is pleased to report the results of the recent prospecting and sampling completed throughout the Miranna Area, which forms part of its Niobium Claim Group (the “Property”) in northern Quebec. This work was conducted by Commerce Resources Corp. during their 2017 field program. The Miranna Area is characterized by a strongly mineralized (Nb-Ta-Phosphate), glacially dispersed, boulder train with a source interpreted to be potentially on the Company’s Property. Prospecting work in the area continues to identify numerous, well-mineralized boulders, with the 2017 program returning a peak niobium sample of 4.3% Nb2O5, 240 ppm Ta2O5, and 13.4% P2O5, and a peak tantalum sample of 1.16% Nb2O5, 700 ppm Ta2O5, and 0.65% P2O5. A summary of results is presented in Table 1. 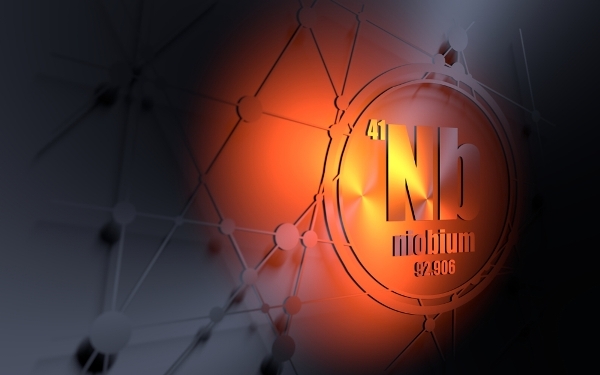 The Company’s primary asset, subject to TSXV final approval, is the Niobium-Claim Group, recently acquired via Earn-In Agreement from Commerce Resources Corp. for up to a 75% interest. The Property consists of 21 contiguous mineral claims, encompassing an area of approximately 980 hectares, and is considered highly prospective for niobium and tantalum. The Property includes portions of the high-priority, and drill ready, Miranna Target where prior boulder sampling in the area has returned up to 5.9% Nb2O5 and up to 1,220 ppm Ta2O5, as well as the Northwest and Southeast areas where previous drilling returned wide intercepts of mineralization including; 46.88 m grading 0.46% Nb2O5 (EC08-008) and 19.54 m grading 0.85% Nb2O5 (EC08-033), respectively." Full size / Boulder sampling on the Niobium Claim Group Property from Saville Resources Inc. Most of the current exploration, development and operating niobium mines have resource grades between 0.3-2% Nb2O5, apart from the world‘s largest and highest grade niobium mine, Araxá in Brazil, with average grades of approximately 2.5% Nb2O5.